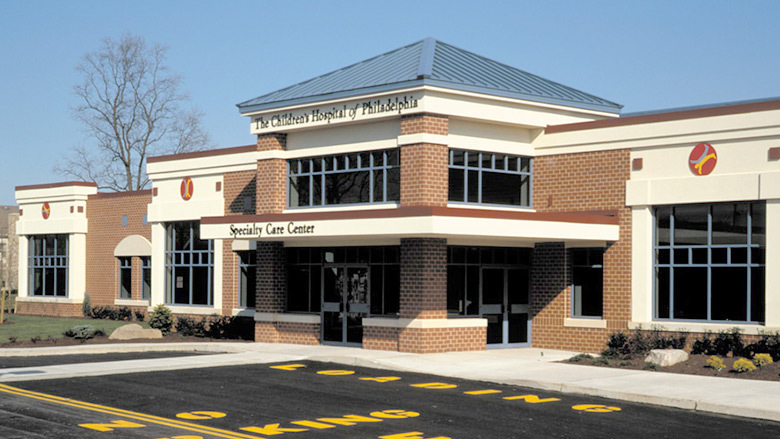 The Children's Hospital of Philadelphia Specialty Care & Surgery Center in Bucks County, PA, offers a wide range of pediatric outpatient specialty medical and surgical services, as well as ancillary testing to families in Bucks and eastern Montgomery counties. All care is provided by physicians who are members of the Hospital's attending physician staff. This location also offers after hours urgent care services. Our team of board-certified pediatric specialists from a wide range of subspecialties includes Children's Hospital's pediatric surgeons and pediatric anesthesiologists, along with a full-time staff of specially trained nurses.